July 29, 2014 - First on our list for the upcoming school year: To support community schools on their journey to become empowered, digital LEARNERS. The Native Innovation (NII) team is asked repeatedly, "When will technology not feel like technology?” and we continuously search for tools to make technology work for our learners, rather than being worked by technology. Over the past two years, we have worked hard on implementing these technology tools into many school classrooms: Digital Storytelling, Place-Based Curriculum Flipchart Design, Online Collaborative Networks with Promethean Planet, Infusing technology tools into classrooms, Diné Keyboard App, Diné Dictionary App for iPhone®, iPad® & iPod touch®, and many other projects. We have also seen great strides in the efforts to implement blended learning concepts. Additionally, we have designed a professional development approach to facilitate a self-paced digital learning plan for leaners to follow beyond the professional development time we spend with them. 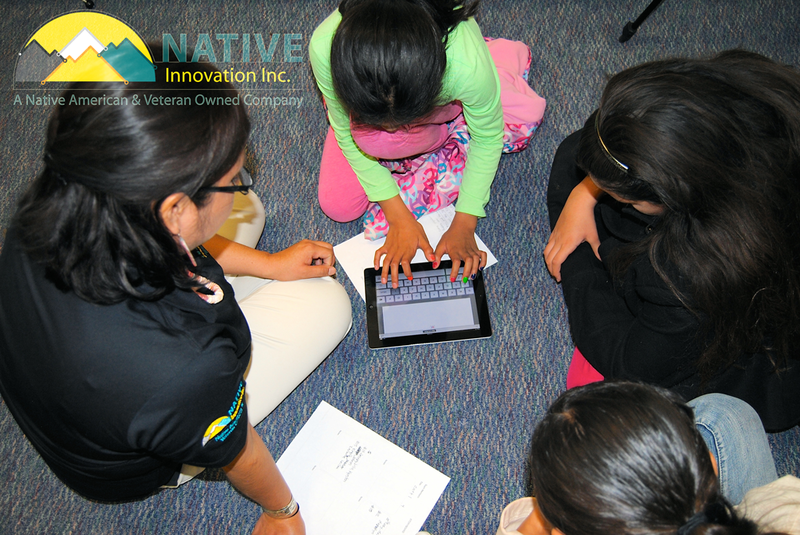 View our workshop list here: Native Innovation Professional Development Catalog. In the upcoming school-year, with a vision and many aspirations for the way students learn, Native Innovation will begin placing more emphasis on technology tools so to make functioning with technology second-natured, and useful. It is our goal to continue promoting the student-centered approach by providing a diverse number of professional development opportunities for teachers and administrators. 2014 NII EdTech Conference “Technology Integration in a Changing World"
With extraordinary enthusiasm and excitement, Native Innovation is here to help your school expect the unexpected! Call us today and let’s design successful opportunities for all stakeholders. Join Us For A Day Of Creative Learning!